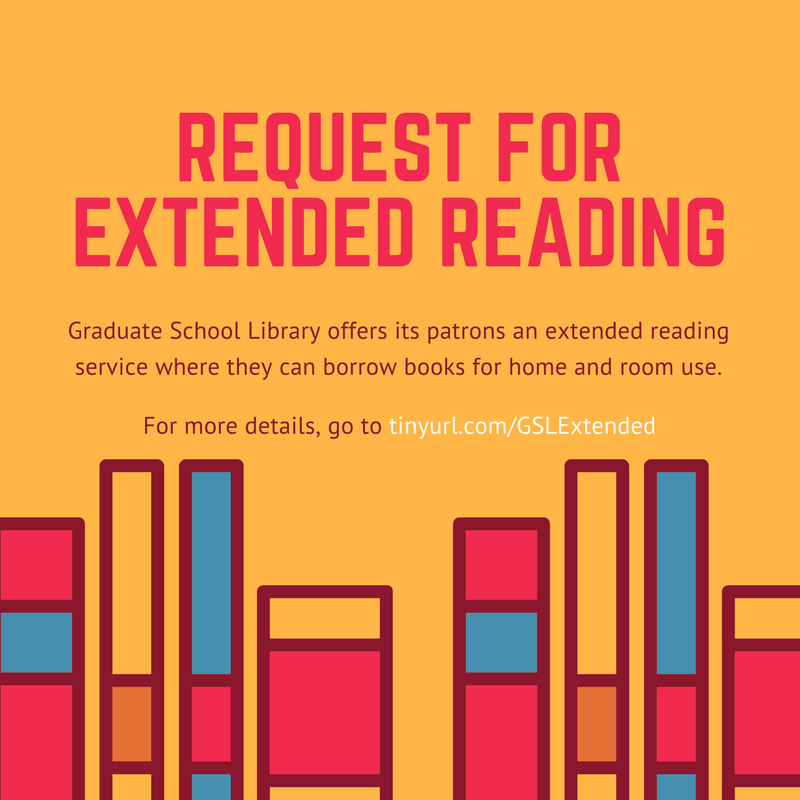 Extended Reading allows patrons of Graduate School Library to borrow books from other library units beyond 5:00 PM through the librarian in-charge of Graduate School Library. Books from Filipiniana and Allied Science and Circulation units may be borrowed for room and home use. Books from Reference and Information Unit are strictly for room use only.